Ilona Selke English Blog ~ Electro Magnetic Fields and how they affect you! Electro Magnetic Fields and how they affect you! EME is a new condition that has emerged over the last 15 years since the advent of Cellphones, Microwave towers, WiFi in most public and private locations, and recently the Smartmeters! EME stands for ElectroMagnetic Exhaustion, a term I have come up with to describe the overload of EM radiation that most people are exposed to on a daily basis these days. You will not find too much about it even through Google, but the fact is that many many people are complaining about this even though they do not know what it is or what is causing it. EME comes from the resistance that our body puts up against the onslaught of electromagnetic frequencies. The body’s own electromagnetic field usually buffers incoming signals, so that our own fine-tuned signaling system within our own body is not affected. Indeed our brain and heart structures are constantly emitting small EM signals through out our body, which it uses to stimulate and direct all bodily functions. Many researchers now believe that the biological changes that occur in our body are primarily electromagnetic signals and secondarily chemical changes. The chemical signaling model is many times too slow to produce the kinds of changes necessary for our system to react the way it does. For example, for a baseball player to hit a ball that is coming at him at 120 miles per hour, the signalling system of chemical reactions to perceive the ball and tell the arms to swing the bat at the right time are physically not possible according to physics. The only communication system that we know of that could send the signals fast enough would be electromagnetic signalling. The most recent research has found a system of interconnecting pathways called Microtubles. These extremely small protein tubes carry out many functions. It is now speculated that they may also be working as information super highways similar to fiber optic cables that connect vast distances. When incoming signals come into our body from an outside source, our electrical system can normally reroute the signals so that the external signals are ignored, or will not hamper the healthy function. However it is believed that prayer, Chi, and other factors that have been studied in long distance healing, non-physical forms of healing, Imagery Selk-Healing, etc. use exactly there channels to convey the NEW information to the body, according to which it then reorganizes itself. In the case of a very strong EM signal, like the electricity coming out of the light socket, the strong signal can overcome our small signals and cause our muscles to contract for example, and not allow us to let go of the electric cable if we were to touch a bare wire. In most cases however, the signal from our brain overrides this incoming signal and gains the upper hand by causing us to immediately let go of the wire. The problem we are facing in our current era of technological exploration is that most of the new signals are erratic and not constant. With a constant signal our body understands it quite quickly and makes adjustments to ignore it. But recent research is showing that the erratic signals of digital signals such as cell phones, Smart Meters, Digital Pagers, WiFi, etc. etc. are causing our bodies to wear down and lose its ability of defending against these signals. This is leading to DNA damage and a host of diseases such as bone loss and even cancer. Dr. Devra Davis was part of the Clinton administration and headed the Chemical Safety and Hazard Investigation branch of the government . She sorely regrets that they passed a law at that time that does not allow anyone to stop the installation of a Cell Phone tower based on health reasons. She did not believe at that time that there were any biological effects from such small signals such as from Cell phones. 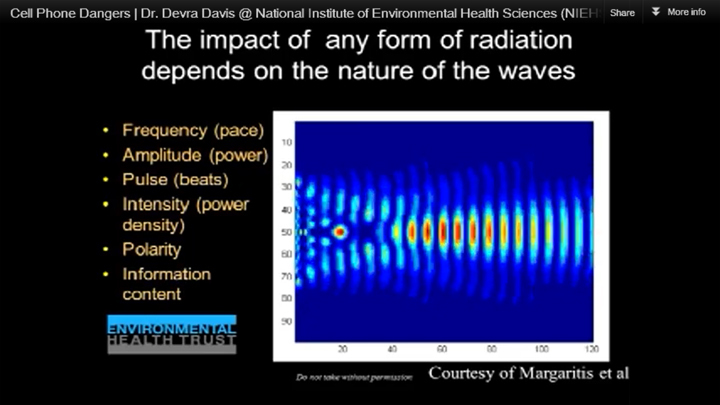 She began studying this to prove that there were not any health issues related to cell phones and digital signals and found that our biology is indeed strongly affected by these radiations. 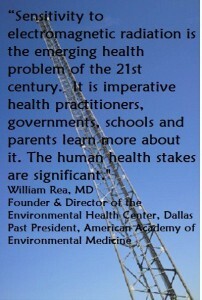 She is now a champion of the efforts to educate doctors and health officials of the dangers of these small signals. She is convinced that the erratic nature of these small signals is part of the reason they are so dangerous. A new twist is that science is finally starting to accept that Informational Fields are also part of the signal problem. See next image. Electromagnetic Exhaustion sets in when the cells wear out trying to adjust and keep the foreign signals out. When the signals are so erratic, the cells just become worn out and eventually quit… at that point, we as a human feel the exhaustion at a physical level. Most people notice it after flying in a commercial airplane. I took an EM meter with me on a flight and since it was not such a full flight, I was able to walk freely around the airplane and I searched for a relatively “clean” seat where the EMF (ElectroMagnetic Field) was not in the RED on my meter. There wasn’t any seat on the entire plane that was clean at all. It is no wonder that we feel exhausted after a flight. Pilots especially have this problem and it has become a real concern in the aviation industry. I have a friend that has been researching ways to help reduce the biological effects of the EMFs for the airline pilots. I hope we can help in some way with our ChiO. But the problem is not confined to airplanes alone. All newer cars (15 years or less) all have computers in them and the cars 8 years or less are full of computers and digital signaling devices. The difference between driving long distance in a new car and an old car are very noticeable and a big part of the exhaustion feeling comes from EME. And what about office buildings full of computers and WiFi? Actually most every home in America has WiFi signals running through it. Even if you don’t have WiFi yourself, your neighbor is bound to have it and it blasts right through the walls of most homes. The inventor of the SE-5 had created a solution for this problem and built several prototype units. I have used one of his prototypes for about 8 years and don’t ever want to be without it. I had asked many times for Dr. Willard Frank to produce more of them but he didn’t get them into production before he died. After the monumental task of redesigning the SE-5 into the SE-5 1000, (www.SE-5.com and www.SE-51000.com ) I took on the job of redesigning an EMF protector and putting it into production. We call it the Chi-O, short for Chi-Organizer. It works by emitting bio-friendly frequencies regularly about 32,000 times per day. This is done through a scalar antenna which eliminates the electromagnetic resistance of our system and provides a buffer shield in our aura. 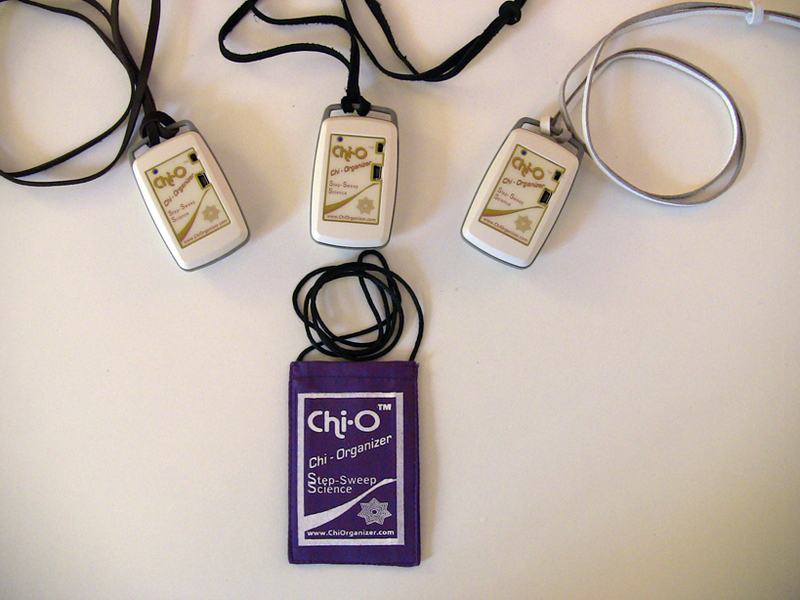 Our Chi-Energy is brought into balance and strengthened, which gives our body a much better chance of resisting and combating the incoming sea of digital signals that are constantly attacking our system. I hope this information opens your awareness to the great experiment that is being tested on about 5 billion people at the moment (the number of people currently using cell phones in the world.) The Microwave technology was not tested sufficiently for its long term effects before being released to the public. AND currently all over the western World Smart Meters are being installed by the electric companies, that are a hundred of times stronger than cell signals and turning the entire house into a radiation zone. There is a big movement in California to take them out, but since it is such big business, it is a very difficult uphill struggle. We URGE YOU…..If you don’t have a Smart Meter yet, please educate yourself and in most cases you can Opt Out from the meter (although in many areas you have to pay extra to keep your old meter). Here are some important strategies to take to help minimize Electromagnetic Radiation exposure. And if you need more convincing of how serious this can be to your health, read the quotes below the suggestions. 18. Radiation-proof plants for your inside your home – cactus, aloe, waringin and cordyline stricta. Expert in radio-frequency radiation, electromagnetic fields, dirty electricity and ground current. 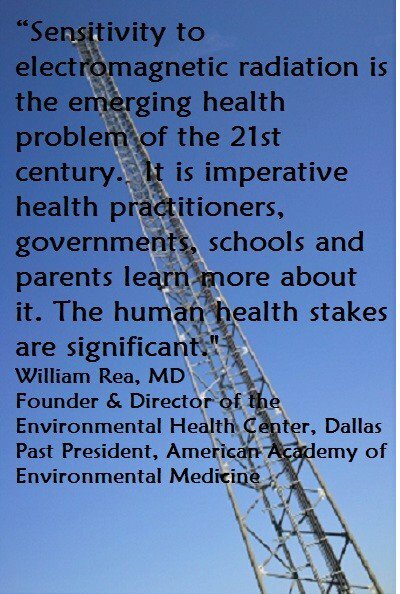 Ambient man-made electromagnetic fields (EMFs), across a range of frequencies, are a serious environmental issue. Yet most environmentalists know little about it, perhaps because the subject has been the purview of physicists and engineers for so long that biologists have lost touch with electromagnetism’s fundamental inclusion in the biological paradigm. All living cells and indeed whole living beings, no matter what genus or species, are dynamic coherent electrical systems utterly reliant on bio-electricity for life’s most basic metabolic processes. It turns out that most living things are fantastically sensitive to vanishingly small EMF exposures. Living cells interpret such exposures as part of our normal cellular activities (think heartbeats, brainwaves, cell division itself, etc.) 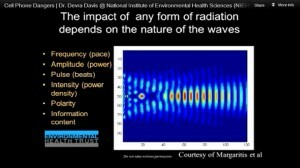 The problem is, man-made electromagnetic exposures aren’t “normal.” They are artificial artifacts, with unusual intensities, signaling characteristics, pulsing patterns, and wave forms, that don’t exist in nature. And they can misdirect cells in myriad ways. The overall problem with environmental electromagnetism is much deeper, not only of concern at power line frequencies, but also in the radio-frequency range encompassing mobile phones. Here the public’s continuing exposure to electromagnetic radiation is largely connected to money. Indeed the tens of billions of dollars in sales one finds in the cell phone industry makes it mandatory to corporate leaders that they deny, in knee-jerk fashion, any indication of hazard.